Kathy Pickering, the executive director of Block's Tax Institute, and vice president of regulatory affairs stated that even if you owe less tax than you are currently about to pay. 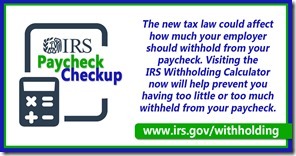 It's better to know now that you are due for a refund than have it take you by surprise next spring. 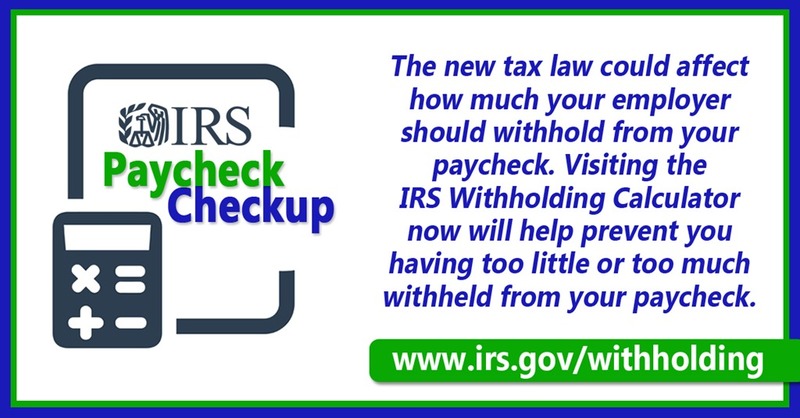 Taxpayers need to bring their current paystub, as well as their 2017 tax returns documents to the participating "Checkup service" Block stores.